Scientists in southern China report that after creating several "transgenic macaque monkeys" which contained extra copies of a human gene linked to brain development, the monkeys did better on a memory test, exhibited better short term memory, and had faster reaction times vs. their non-altered simian counterparts. What's more, the monkeys' brains took longer to develop, similar to that of a human child. The gene, MCPH1, was successfully introduced to five out of 11 monkey embryos using "lentivirus transfection" - in which genetic material effectively hitches a ride on an injected virus. A derivation of the gene called haplogroup D appeared around 37,000 years ago across the globe except for Sub-Saharan Africa. "This was the first attempt to understand the evolution of human cognition using a transgenic monkey model," said lead geneticist Bing Su of the Kunming Institute of Zoology. "The use of transgenic monkeys to study human genes linked to brain evolution is a very risky road to take," said University of Colorado geneticist James Sikela, who conducts comparative studies on primates. He is concerned that the research will open the door to more extreme modifications. "It is a classic slippery slope issue and one that we can expect to recur as this type of research is pursued," added Sikela. 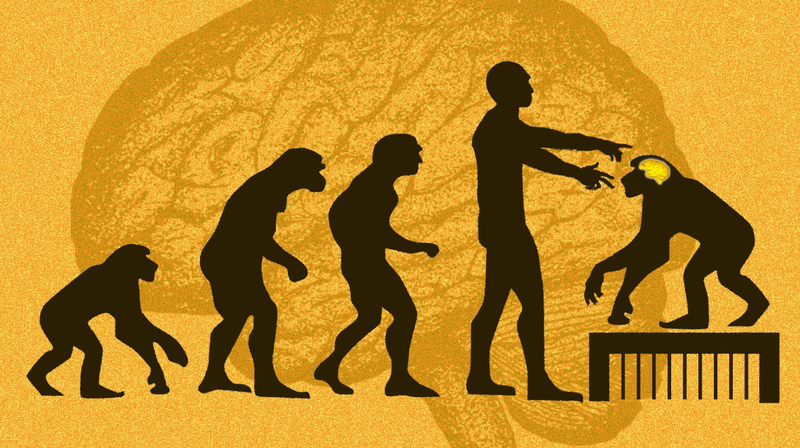 Scientists have long sought the genes which, according to evolutionary theory, caused human brains to become intelligent while those of chimpanzees and other simians were left behind despite our genes sharing similarities of around 98%. According to Sikela, the objective behind the experiment is to locate "the jewels of our genome," or the DNA which makes humans unique. One popular candidate gene known as FOXP2 - the "language gene" - has been potentially linked to human speech. The MIT Review notes that a British family whose members inherited an abnormal version had difficulty speaking. Meanwhile, Bing Su focused on a different gene - MCPH1 - as babies borh with damaged versions of the gene typically have tiny heads. Su's research has its detractors within the scientific community. One - computer scientist Martin Styner of the University of North Carolina, who actually participated in the study by training Chinese students to extract brain volume data from MRI images (and considered removing his name from the paper), said "There are a bunch of aspects of this study that you could not do in the US," adding "It raised issues about the type of research and whether the animals were properly cared for." The next genetic target of Su's research? SRGAP2C - a DNA variant which arose over two million years ago dubbed the "humanity switch" and "missing genetic link" for its potential ties to human intelligence.